People lost the weight without any dietary or physical activity advice whatsoever — only psychological therapy. The right type of mental imagery can help motivate people to lose weight, new research reveals. People using ‘Functional Imagery Training (FIT)’ lost eight times as much weight as those using a different talk therapy. Imagery training helped people to lose 4.3 cm more around their waist and continue to lose weight afterwards. Unusually, people lost the weight without any dietary or physical activity advice whatsoever — only psychological therapy. The study involved 141 people who were either given the imagery training or a technique called Motivational Interviewing. The results showed that, after six months, those using the imagery techniques lost an average of 4 kg, while those given Motivational Interviewing only lost 0.7 kg. 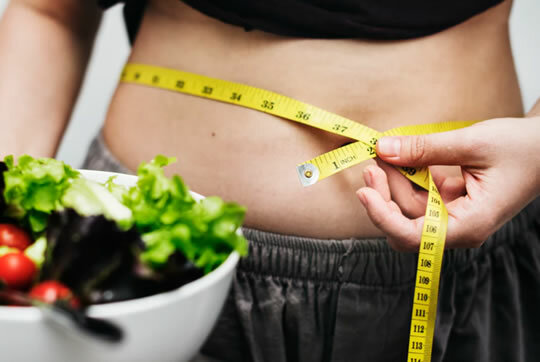 “Most people agree that in order to lose weight, you need to eat less and exercise more, but in many cases, people simply aren’t motivated enough to heed this advice—however much they might agree with it. So FIT comes in with the key aim of encouraging someone to come up with their own imagery of what change might look and feel like to them, how it might be achieved and kept up, even when challenges arise. “We started with taking people through an exercise about a lemon. We asked them to imagine seeing it, touching it, juicing it, drinking the juice and juice accidentally squirting in their eye, to emphasise how emotional and tight to our physical sensations imagery is. From there we are able to encourage them to fully imagine and embrace their own goals. Not just ‘imagine how good it would be to lose weight’ but, for example, ‘what would losing weight enable you to do that you can’t do now? What would that look / sound / smell like?’, and encourage them to use all of their senses. After a year, the imagery group had lost 6 kg, while the Motivational Interviewing group had only lost 0.7 kg. The study was published in the International Journal of Obesity (Solbrig et al., 2018).